When the day you take your driver’s test finally arrives, you’re most likely filled with a combination of excitement and nervousness. Once you have your REAL ID, you’ll have the freedom to hit the open road whenever you feel like it. With that in mind, obtaining your REAL ID requires more than simply passing the test and receiving a piece of paper that says you’re allowed to operate a vehicle unsupervised. In order to receive your license, you will need to have the proper documents on hand. It can be difficult to find all of the documents you need as a minor, which is why, in today’s post, we will discuss what documents you will need as a minor to obtain your license. Once you’re finally ready to take your driver’s test, the last thing you want is to wait around for weeks to get behind the wheel. Luckily, at MVD Express, we give you the option of scheduling your driver’s test in advance! We even offer same-day appointments at some of our locations. At our New Mexico DMV, we proudly boast shorter wait times and friendly staff, making it easier than ever to take your driver’s test, even if you don’t schedule an appointment in advance. What are you waiting for? Contact MVD Express, and schedule an appointment for your driver’s test today! Unfortunately, when you pass your driver’s test, the facilitator doesn’t automatically present you with a REAL ID. Instead, you will go to the MVD, fill out paperwork, and pay a small fee. The reason behind this is that the MVD wants to make sure that you are a citizen of the United States and a resident of the state in which you are taking the driving test. 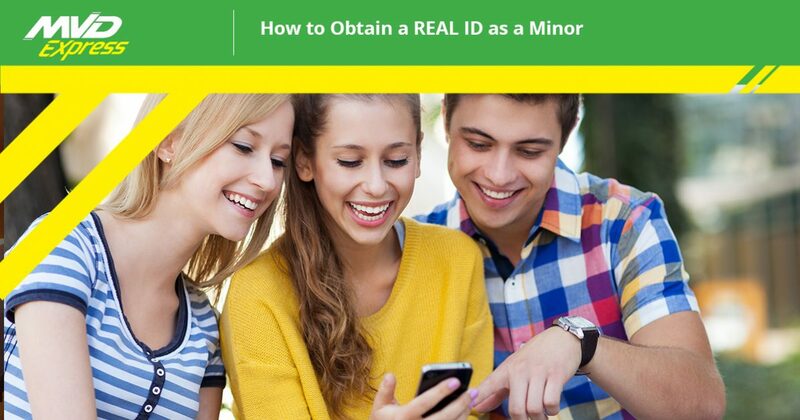 Proving your identity and age isn’t quite so difficult for those under the age of 18. In most, if not all, cases, your parents will have your Social Security Card, a passport, or your birth certificate. Providing two proofs of New Mexico residency, however, is where it can become more difficult for minors to find the necessary documents in order to obtain their REAL ID. Adults who go to the MVD to renew or replace a driver’s license will usually have a utility bill, pay stub, or a bank statement with their address that proves they are a resident of the state. However, minors don’t usually have their name on the utility bill or on a bank statement. Adults may have more options of which documents they can bring to the MVD to prove their residency, but there are still a few options of ways in which a minor can prove their residency. Education Institution Document – Most minors are currently enrolled in some type of educational institute, which means they can use a document from the institute to prove that they are a resident of the state. 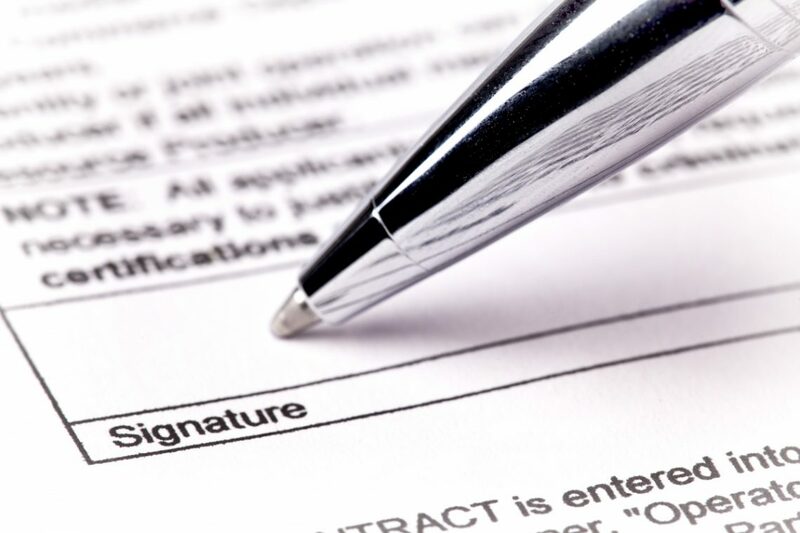 For example, transcripts, report cards, and enrollment documents are all acceptable forms of proof of residency. Membership in a religious or sports organization – If you are part of a soccer team, or your church’s youth group, you can bring in a document with your address that states you are enrolled in these activities, and the MVD will accept it as a proof of residency. Affidavit of residency – If you’re not a student or a member of a religious or sports organization, your parent or guardian has the option to fill out an Affidavit of New Mexico Residency, accompanied by the guardian’s New Mexico identification card and two forms proving residency for the guardian. Obtain Your REAL ID at MVD Express! Once you have the necessary documents and you pass your driver’s test, MVD Express is here to help you obtain your New Mexico REAL ID! We proudly offer both the written and driving portion of the driver’s test, as well as the REAL ID, making it easy to get all of the services you need at one convenient location. With more than 10 locations throughout New Mexico, finding one of our New Mexico DMVs is simple, so give us a call today to schedule an appointment, or visit one of our locations.